St Peter Julian Eymard’s life has been the subject of several full-length biographies. An extensive library of Eymardian literature is to be found in religious journals. Numerous studies of Eymard’s spirituality have been made over the years. It is important to note that some of the earlier published writing about Eymard has been overtaken to varying degrees by modern investigations involving re-examination of the primary sources relating to Eymard’s life. The first and most widely distributed biography of Eymard is The Priest of the Eucharist by Albert Tesnière, who was a member of the Blessed Sacrament Congregation during the final years of Eymard’s life. Since the original publication of The Priest of the Eucharist in French in 1870, many editions and translations of this work have been produced. Until recent times, it has been a key source for biographies of Eymard. In the late twentieth century, Fr Donald Cave SSS produced more than a dozen scholarly studies of Eymard’s life and writings. One of Cave’s conclusions was that Tesnière appeared to have taken excessive liberties with his source material. According to Cave, Tesnière had destroyed some documents and had suppressed and rewritten others with a view to presenting an image of Eymard that conformed with an orthodox or ‘respectable’ image of Eymard that Tesnière had considered to be most appropriate for his times. The outcome, in Cave’s view, was that an overly simplistic and unjustified emphasis was placed on piety, duty and devotion as the central elements of Eymard’s spirituality. With relatively few exceptions, more recent scholarship into Eymard’s writings has endorsed Cave’s findings. While The Priest of the Eucharist has much historical interest, readers are urged to consider the claims of this publication within the wider context of more recent Eymardian scholarship which is demonstrably based on authentic primary sources. Tesniere’s The Priest of the Eucharist is still in circulation today. 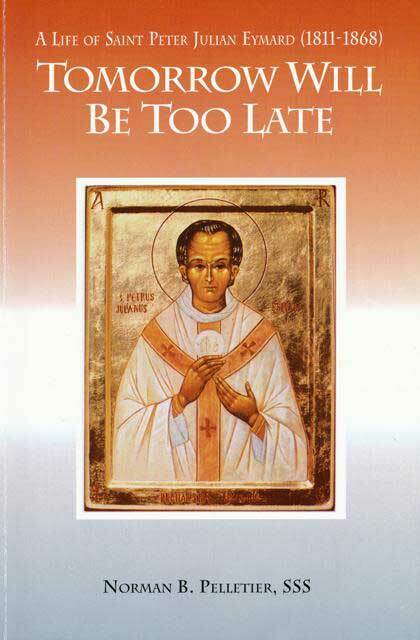 The book was republished in the late 1980s as Saint Peter Julian Eymard: The Priest of the Eucharist (Cleveland: Emmanuel Publications, 1988). Since that time, the 1881 English translation of The Priest of the Eucharist (transl. Mary Elizabeth Herbert) has been digitised and may now be downloaded in various formats from the Internet Archive website. The website Eymardian literature and legacy (Christabel Wescombe and Anthony McSweeney SSS) contains a comprehensive bibliography of English language works relating to St Peter Julian Eymard (Christabel Wescombe: Eymard literature in English: A bibliography) and a detailed study of the legacy and authenticity of Eymard’s writings (Anthony McSweeney SSS: Saint Peter Julian Eymard (1811-1868): The legacy and its transmission). Researchers today have ready access to the major primary sources relating to Eymard’s life. 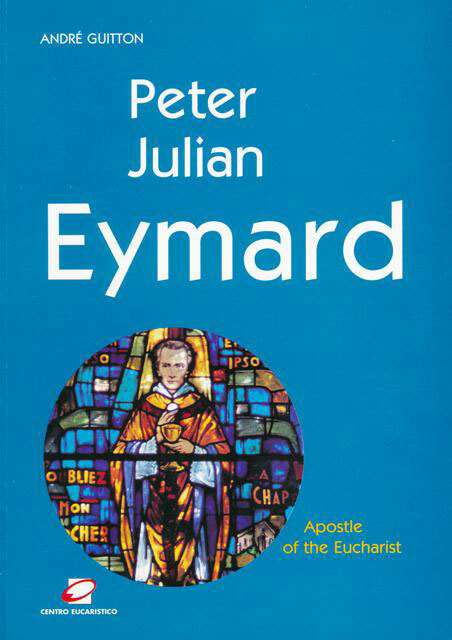 The Blessed Sacrament Congregation has published seventeen volumes of Eymard’s writings in the series Pierre-Julien Eymard Œuvres Complètes (Ponteranica: Centro Eucaristico, 2008). There is also online access to digitised copies of Eymard’s writings at the Congregation’s website Œuvres d’Eymard (eymard.org). At this stage, these primary sources are only available in the French language. These publications are widely available today in libraries and religious bookstores. Both works employ high standards of historical scholarship and bear witness to the modern understanding of Eymard’s spirituality. They are recommended for both the general reader and the specialist researcher. Increasingly, articles about Eymard’s life and spirituality are being published online. The various Blessed Sacrament Congregation websites around the world are a valuable source of information for the interested reader. Fr Manuel Barbiero SSS, Praying 15 Days with Peter Julian Eymard: The Apostle of the Eucharist (France? : Nouvelle Cité, 2016?) is a fifteen-day prayer retreat text with extracts from Eymard’s writings, biographical information and commentary. Sr Suzanne Aylwin SSS (compiler), St Peter Julian Eymard Apostle of the Eucharist: A Thought for Every Day (Rome: Congregation of the Blessed Sacrament, 2008) provides a year of daily extracts from Eymard’s writings for spiritual reflection. This short book includes a biographical introduction, thematic index, and photographs of some of the Eymardian places in France. Fr Fiorenzo Salvi SSS, Fr Giovanni Moretti SSS, Fr Manuel Barbiero SSS, and Fr André Guitton SSS (eds), St Peter-Julian Eymard: Counsels for Spiritual Life (Rome: Congregation of the Blessed Sacrament, 2016?) contains 92 extracts from Eymard’s writings, arranged and introduced by theme. Click the titles below each reader to view books full-screen online.